Retired librarian Ong Ho Hin saw and was largely responsible for the birth and growth of the Malay Mail library (now News Straits Times Resource Centre). 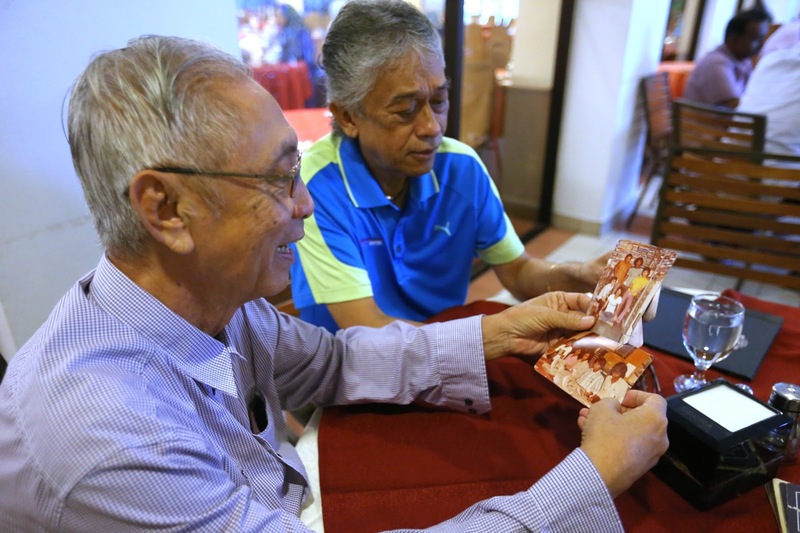 Ong, 78, joined the Malay Mail, then the office in Jalan Pudu, in August 1957, one month before Malaya then gained independence from the British on Aug 31, 1957. 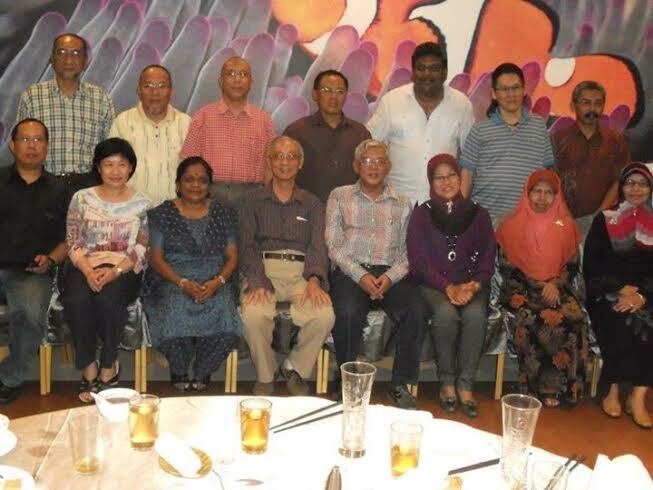 The Chinese educated Ong, as a 20-year-old, was recruited to assist Elssie Thalalla, who was in charge of a small library for Malay Mail and retired 37 years later in 1994. Ong virtually saw the growth of the library from the Robson House (now Magnum) in Jalan Pudu when he joined them before they moved to their present site at Balai Berita in Jalan Riong in late 1967. Today the library is reservoir of information and history worth billions probably. “It was Elssie who started a small library with basic information from the newspapers filed in very general named files. When I joined her, I was to assist her with the filing. It was a humble beginning,” recalled Ong. “But it was in 1959, when Straits Times, which was based in Singapore, moved to Kuala Lumpur and brought their whole library, that we had an elaborate library. “I still remember when they moved their library overnight when Peoples Action Part (PAP) came to power. We had stuff from the library moved in ten lorries – lock stock and barrel. Ong recalled soon after that, Elsie who hired him did not stay on as she could not work with Englishwoman, the new librarian – Mrs Annajane Kennard (the wife of Allington Kennard who came from Singapore as the advisor of Straits Times and Malay Mail). “I learnt a great deal from Mrs Kennard as she was perfectionist and a taskmaster. Ong recalled how reporters would not come into the library if Mrs Kennard was in and would normally call him to bring out to the editorial the files they required. Ong said that by then a few more local staff were hired and among them were the Ng Ee Meng, Abdul Wahid, Xavier Anthony and Percy Morais, all of whom have passed on. On one of his early memorable moments with Malay Mail, Ong said it was in the very first month of his employment. “The editor then Harry Miller called me on Aug 31 and told me that I have to stay back that night and had to go to Selangor Padang (Dataran Merdeka then) and pick up a roll of film from photographer Ng Beh Liow once the Union Jack flag was lowered and Malayan flag raised and rushed it back to the office. “So I cycled to the Padang which was about ten minutes away. And once I got the film after the stroke of midnight, I cycled as fast as I could back to the office. “The film was then delivered to the Sungei Besi airport placed in the ‘flong box’ and flown to Singapore to be printed for Sept 1 Straits Times and Malay Mail edition (then the printing was done in Singapore). Asked for any bad moments, he simply answered: “Of the moments I got shouted by Mrs Kennard and sometimes the editors, but I treated all that as a learning curve and always looked on the positive side. Otherwise I would not have lasted 37 years with the same and only job in my life,” said Ong who had worked under two other librarians – the late John Samuel and Cecilla Tan. Ong went through many phases of changes with the library as technology improved, but still holds close to heart and fondly remembers how newspaper articled were marked according to personalities and subject, cut and pasted on clear sheets of paper before being filed accordingly. “Those days when internet and google was unheard, the library was the only source of reference to the reporters and editors. Reporters used to spend hours in the library doing research for their articles or looking up on facts, figures back ground information on personalities or on subjects they were going to interview,” said Ong. Ong who retired as the chief clerk of the library, said over the years the library has served as a stepping stone for many to move up the ladder or pursue other areas in the newspaper organisation like editorial, marketing, production and circulation. Among those who had taken up journalist career after starting from the library include Jeffery Francis who has migrated to Australia and the scribe himself. Another former library staff, Datuk Raslin Abu Bakar, was heading the National Library until he retired recently. As Ong now spends more time with his old friend travelling and meeting up for meal, he never fails to talk about his golden years in the library. The library now remains with New Straits Times as Malay Mail was sold in 2009 and all archives remain with the parent company. 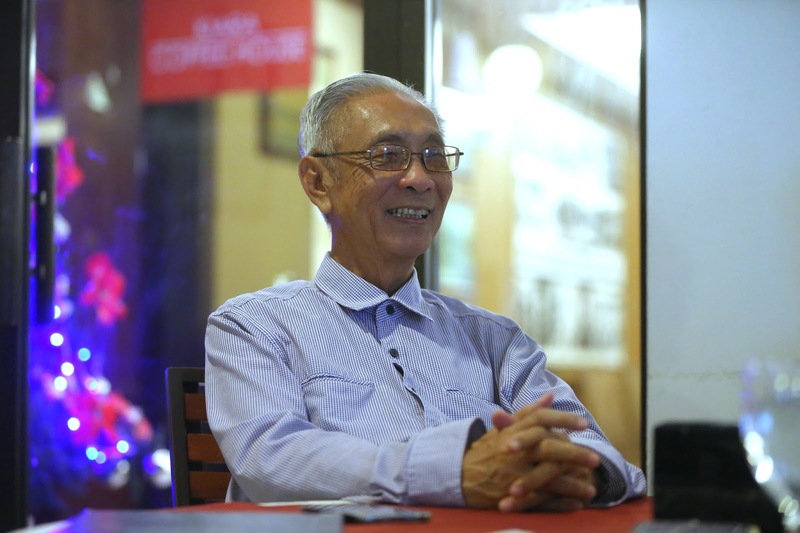 RETIRED librarian Ong Ho Hin saw and was largely responsible for the birth and growth of the Malay Maillibrary, now subsumed under New Straits Times Resource Centre. Ong, 78, joined Malay Mail at its office in Jalan Pudu just before Merdeka in August 1957. The Chinese-educated Ong, then a 20-year-old, was recruited to assist Elssie Thalalla, who was in charge of a small library for Malay Mail. 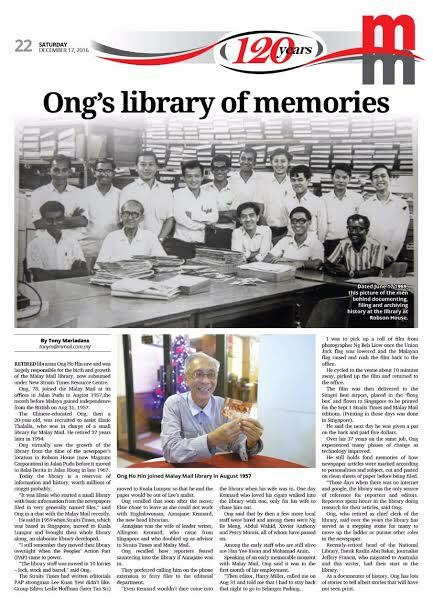 Ong, who retired 37 years later in 1994, virtually saw the growth of the library from the time of the newspaper’s location in Robson House (now Magnum Corporation) in Jalan Pudu before it moved to Balai Berita in Jalan Riong in late 1967. Today the library is a reservoir of information and history. “It was Elssie who started a small library with basic information from the newspapers filed in very generally named files,” said Ong. He said in 1959 when The Straits Times, which was based in Singapore, moved to Kuala Lumpur and brought their whole library along, an elaborate library developed. “I still remember they moved their library overnight when the Peoples’ Action Party (PAP) came to power. “The library stuff was moved in 10 lorries — lock, stock and barrel,” said Ong. The Straits Times had written editorials PAP strongman Lee Kuan Yew didn’t like. Group Editor Leslie Hoffman (later Tan Sri) moved to Kuala Lumpur so that he and the paper would be out of Lee’s ambit. Ong recalled that soon after the move, Elsie chose to leave as she could not work with Englishwoman, Annajane Kennard, the new head librarian. Annajane was the wife of leading writer, Allington Kennard, who came from Singapore and doubled up as advisor to The Straits Times and Malay Mail. Ong recalled how reporters feared sauntering into the library if Annajane was in. They preferred calling him on the phone extension to ferry files to the editorial department. “Even Allington wouldn’t dare come into the library when his wife was in. One day Allington who loved his cigars walked into the library with one, only for his wife to chase him out. Ong said that by then, a few more local staff were hired and among them were Ng Ee Meng, Abdul Wahid, Xavier Anthony and Percy Morais, all of whom have passed on. Among the early staff who are still alive are Han Yee Kwan and Mohamad Amin. Speaking of an early memorable moment with Malay Mail, Ong said it was in the first month of his employment. “Then editor, Harry Miller, called me on Aug 31 and told me that I had to stay back that night to go to Selangor Club Padang. I was to pick up a roll of film from photographer Ng Beh Liow once the Union Jack flag was lowered and the Malayan flag raised and rush the film back to the office. Ong cycled to the venue about 10 minutes away, picked up the film and returned to the office. The film was then delivered to the Sungei Besi airport, placed in the ‘flong box’ and flown to Singapore to be printed for the Sept 1 Straits Times and Malay Mail editions. (Printing in those days was done in Singapore). He said the next day, he was given a pat on the back and paid five dollars. Over his 37 years on the same job, Ong experienced many phases of change as technology improved. He still holds fond memories of how newspaper articles were marked according to personalities and subject, cut and pasted on clean sheets of paper before being filed. “Those days when there was no Internet and Google, the library was the only source of reference for reporters and editors. Reporters spent hours in the library doing research for their articles,” said Ong. Ong, who retired as chief clerk of the library, said over the years the library has served as a stepping stone for many to move up the ladder or pursue other roles in the newspaper. Among others, recently-retired head of the National Library, Datuk Raslin Abu Bakar, journalist Jeffery Francis who migrated to Australia and this writer all had their start in the library. As a documenter of history, Ong has lots of stories to tell — albeit stories that will have not seen print.